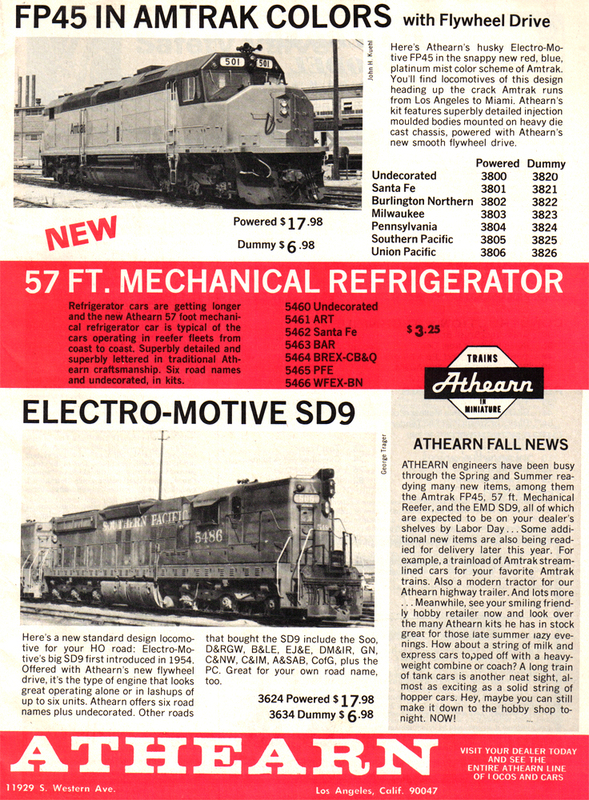 October 1974's ad promotes the new FP45, 57' Mech Reefer, and SD9. 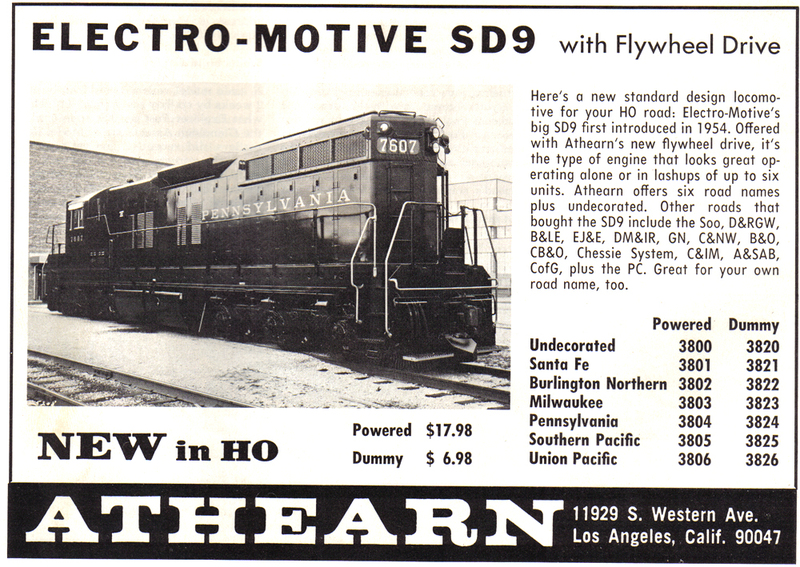 November 1974 has a prototype image of a Pennsy SD9 promoting the coming Athearn 1/87th example. 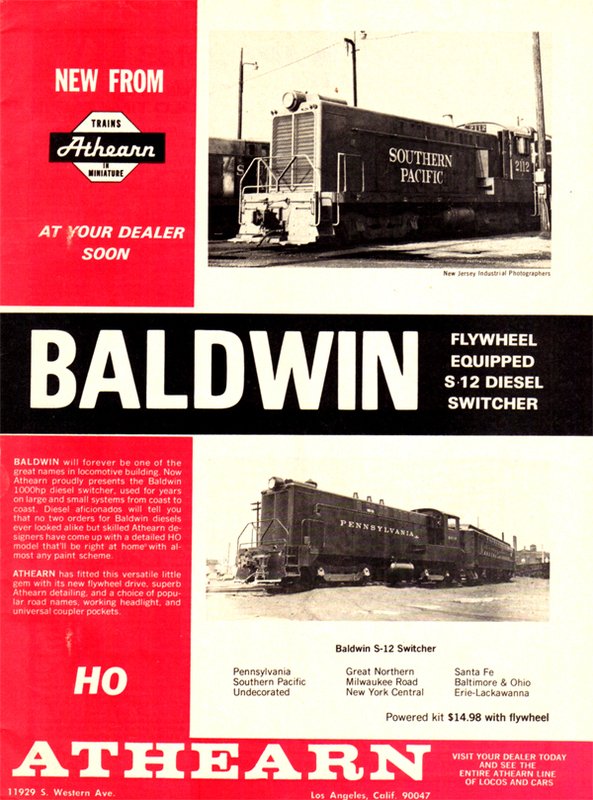 April 1974 brings the announcement of Athearn's Baldwin S-12 Switcher. 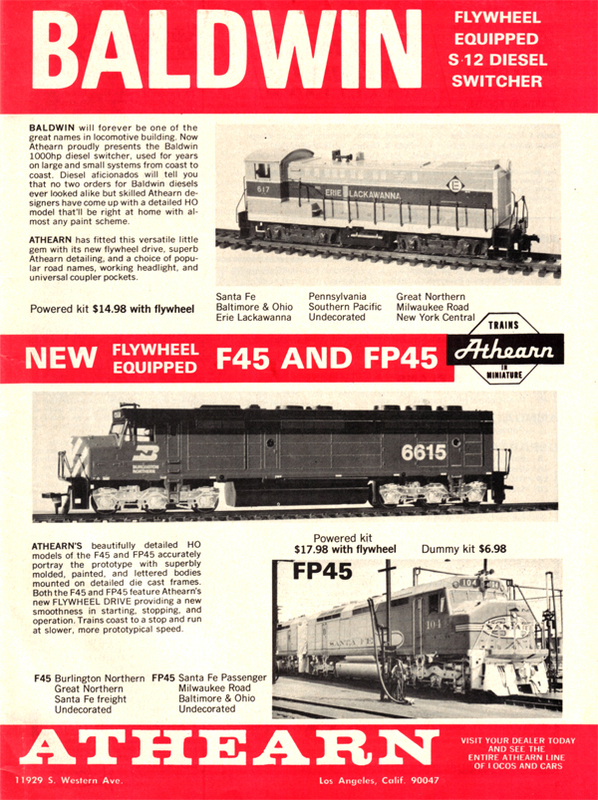 June 1974 has the Erie Lackawanna S-12 sharing an ad with the F45/FP45's.